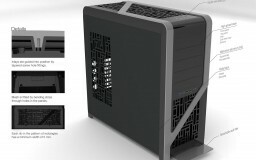 This project was done for a client that wished to remain anonymous. 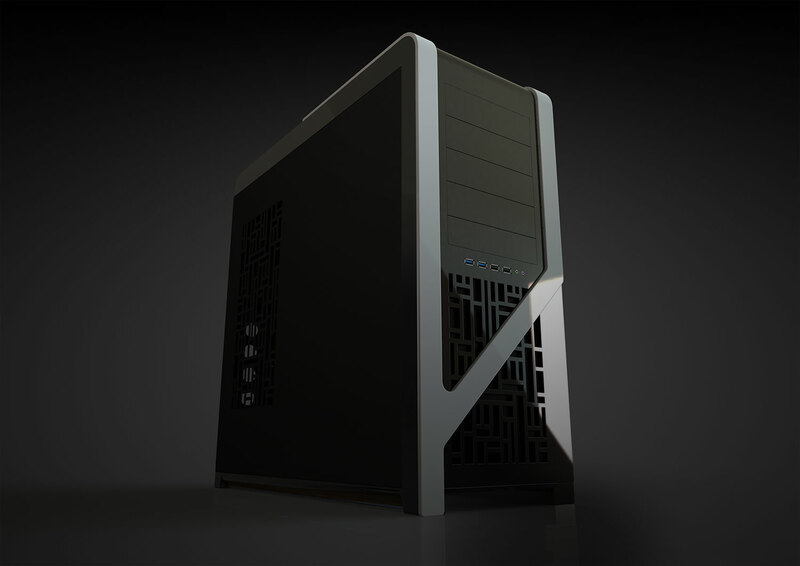 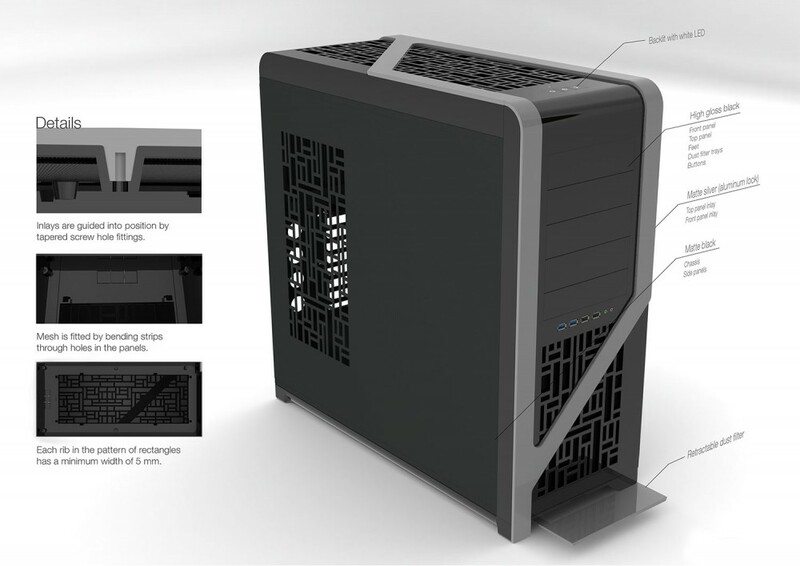 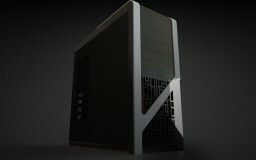 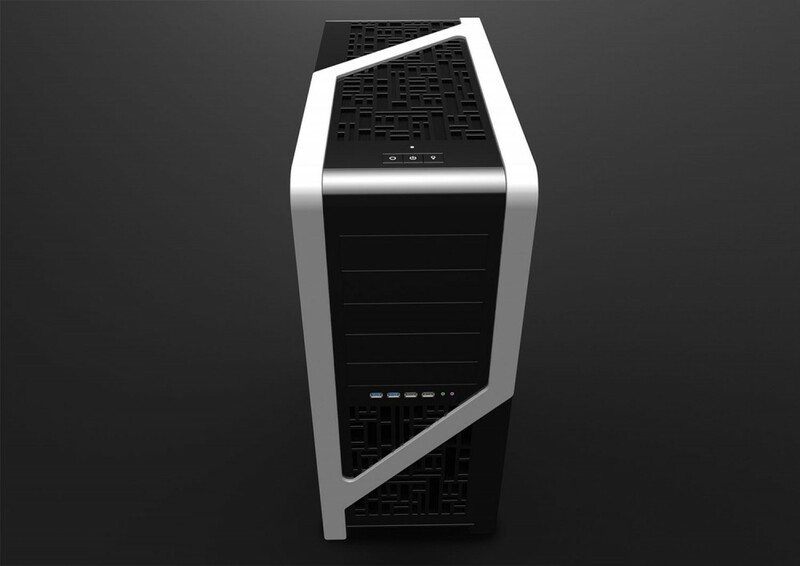 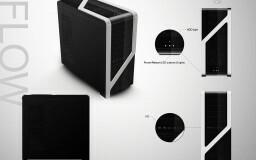 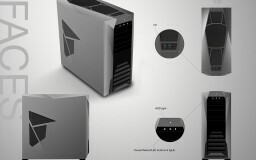 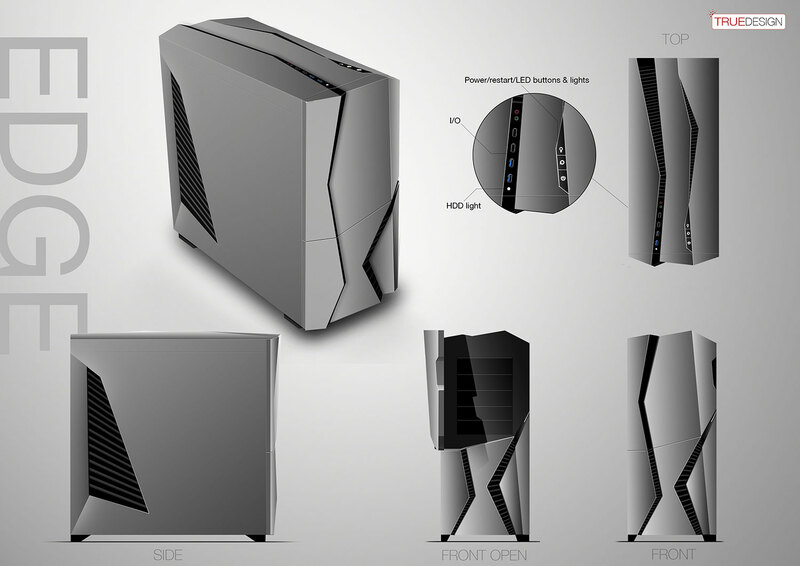 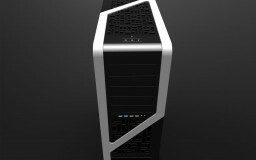 The goal for this project was to create several concepts of mid-range computer cases which could be produced cheaply. 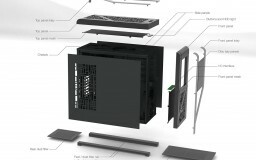 This would be done by using an injection molded front and top panel, that would fit on an existing PC chassis. 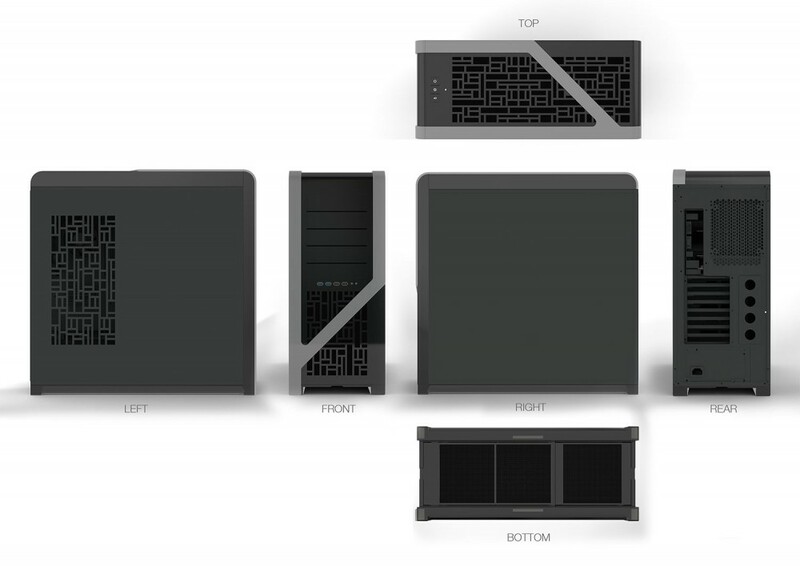 Several functions, such as dust trays and an I/O interface, were essential elements that needed to be used in the design. 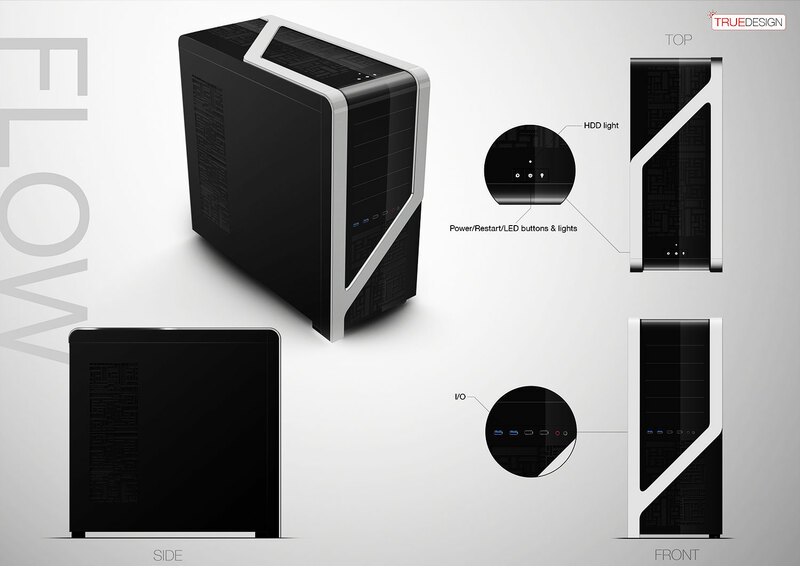 After presenting several concepts to the client, the Flow concept was chosen. 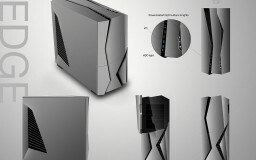 This concept was then detailed further. 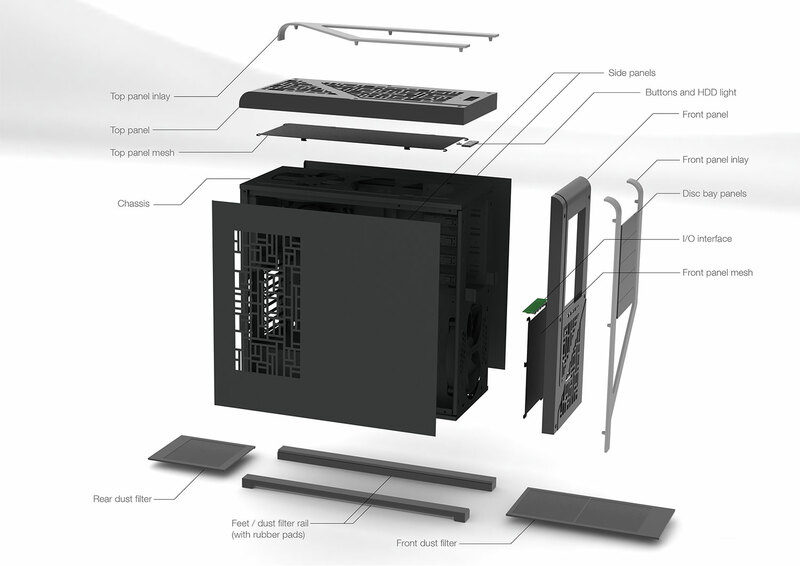 This more detailed 3D model of the Flow concept included some proposals for fastening methods and material choices. 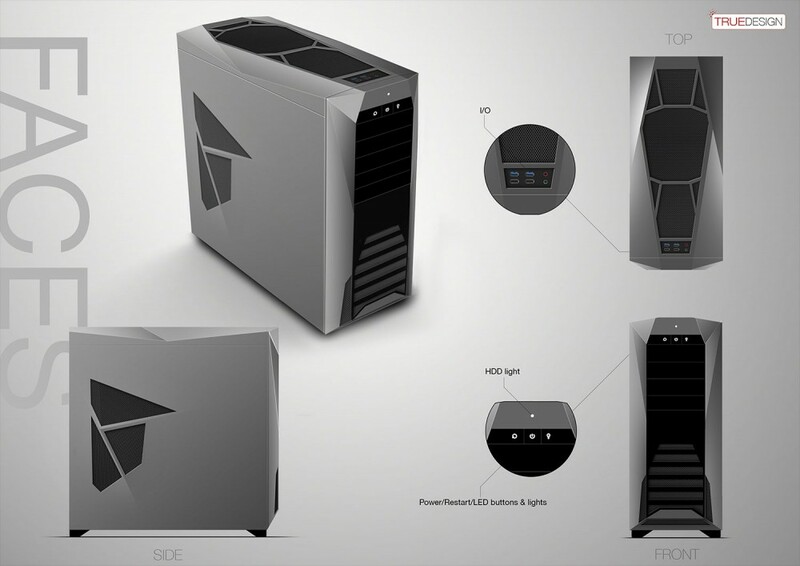 The concept drawings and renders of the 3D model can be found below.